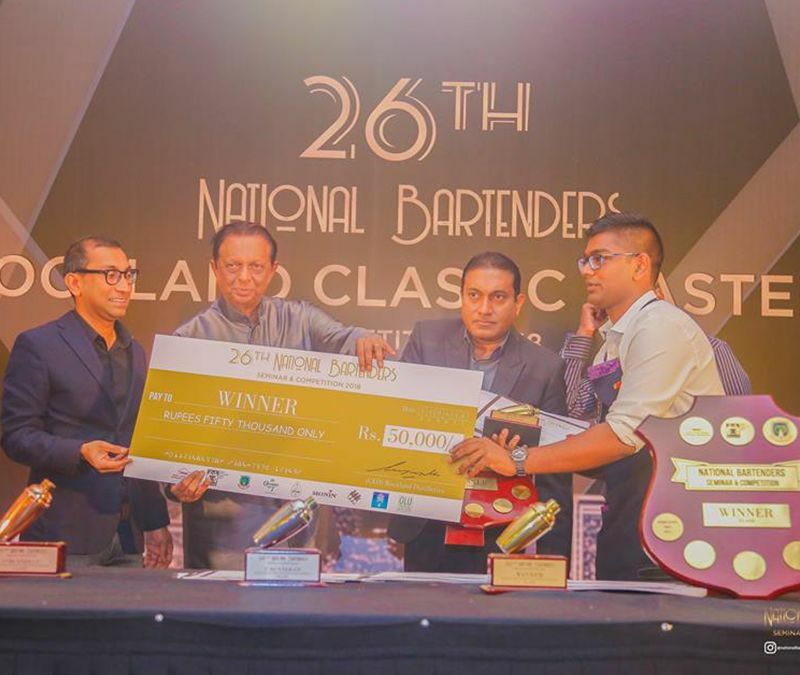 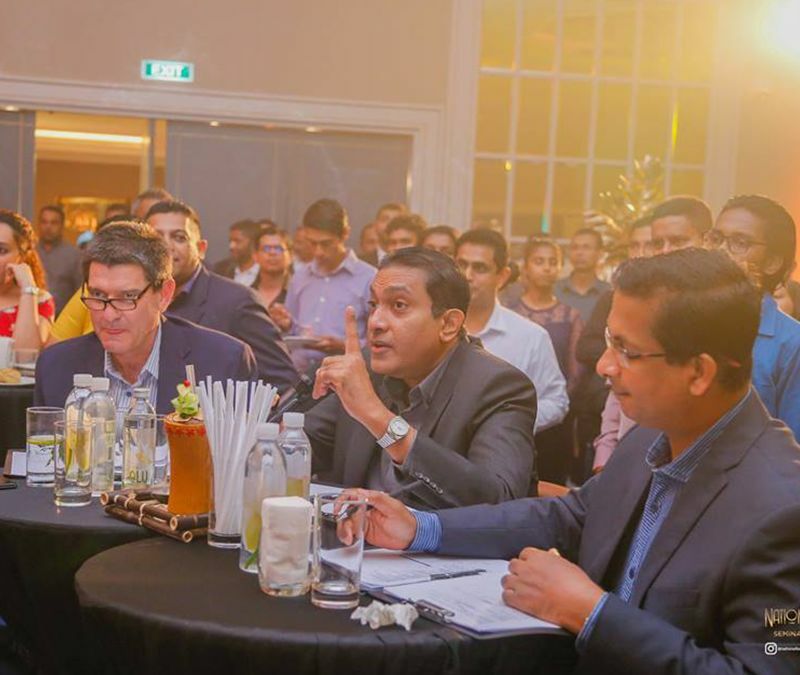 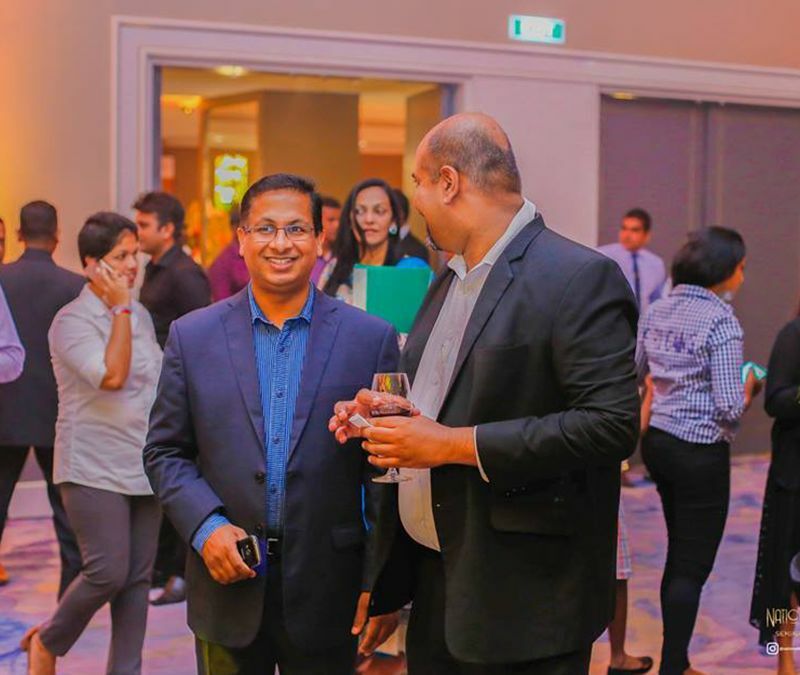 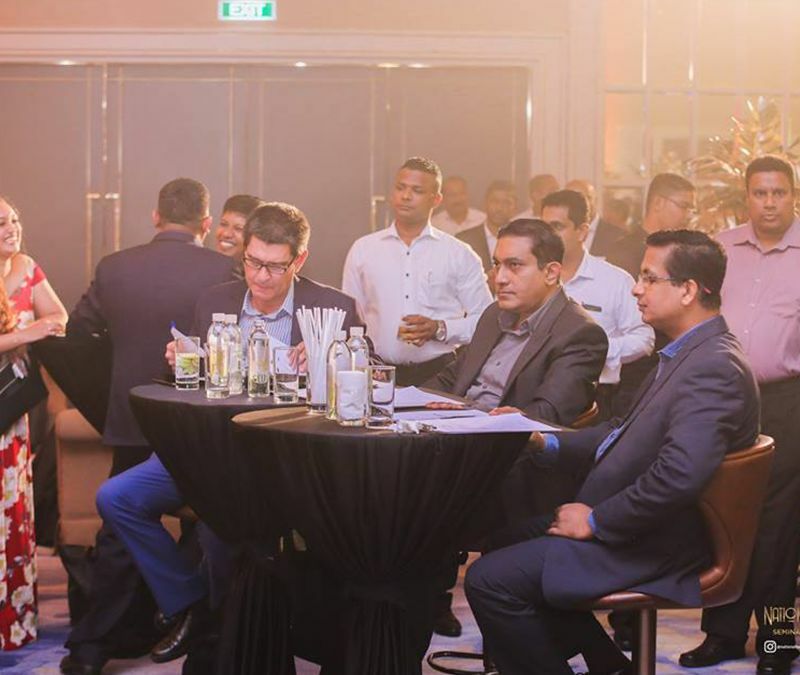 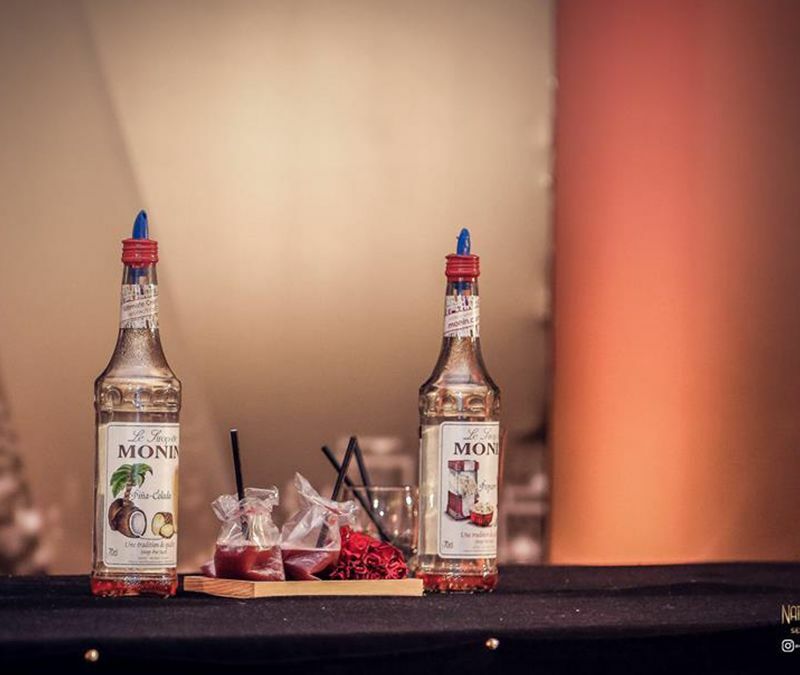 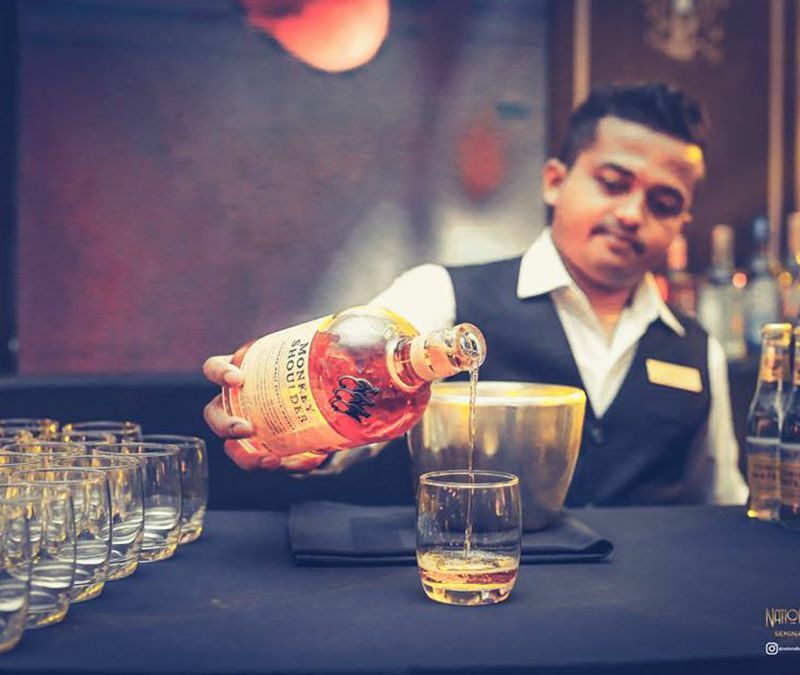 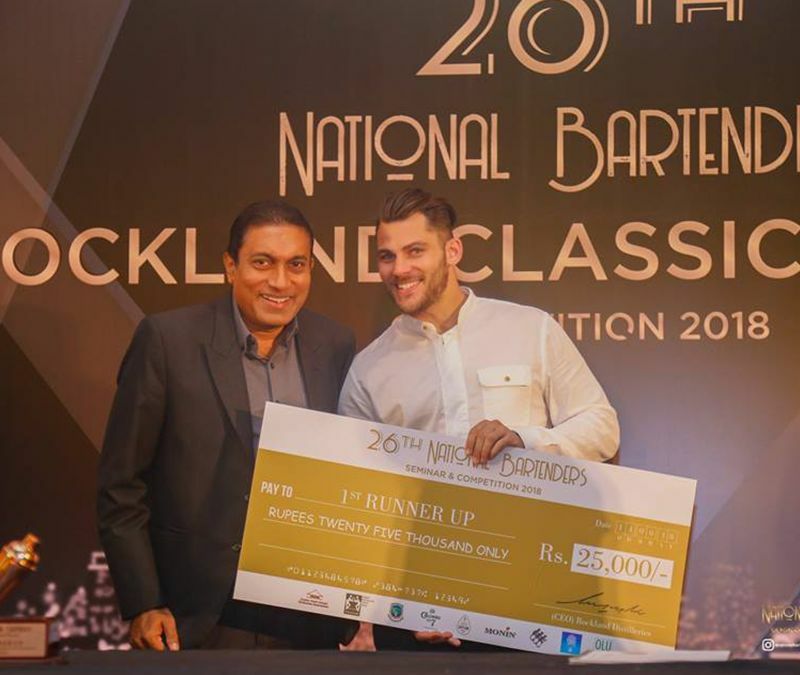 The National Bar Tenders Competition, a much looked forward to event in the CHSGA calendar as well as the Bar Tending fraternity of Sri Lanka was worked off during the months of May and June with the culmination of the finals on the 14th of June at the Colombo Hilton with the Hon. 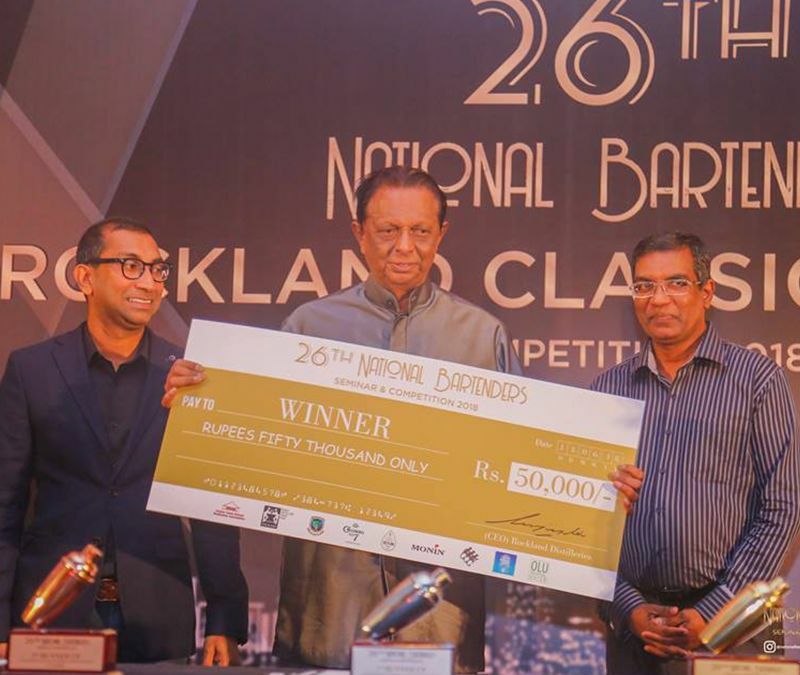 Minister of Tourism and Christian Religious Affairs John Amaratunga being the Chief Guest. 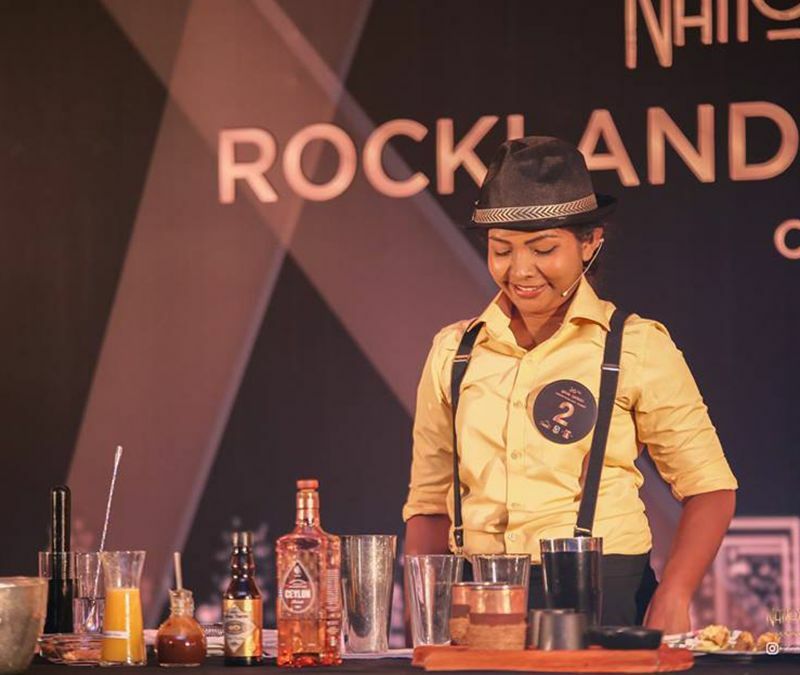 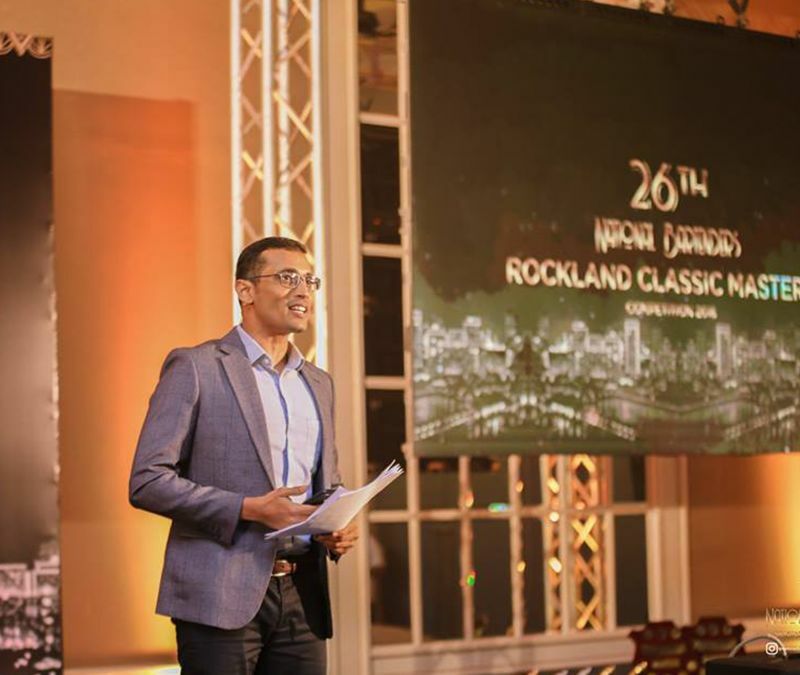 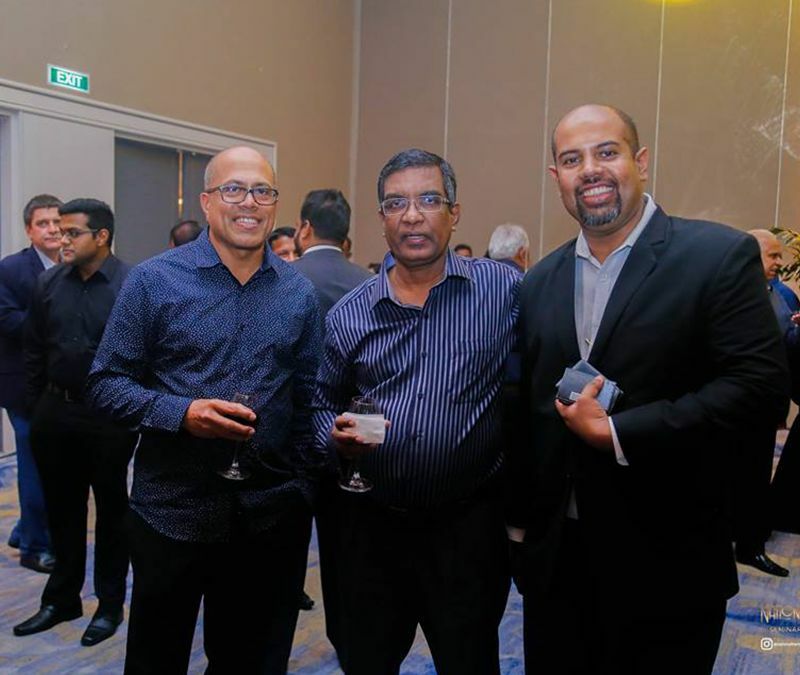 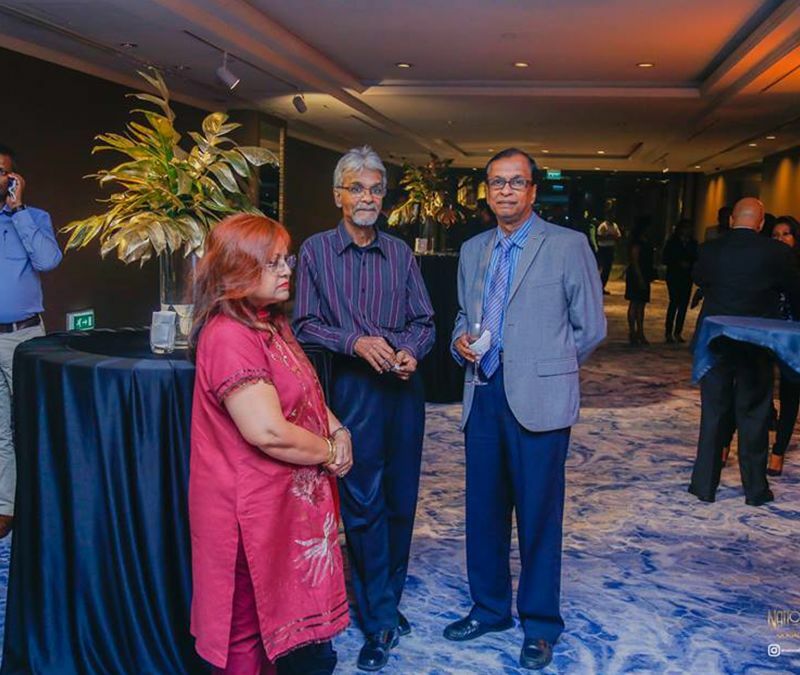 The event was organized by the Ceylon Hotel School Graduates Association and was sponsored for the 2nd year running by Rockland Distilleries. 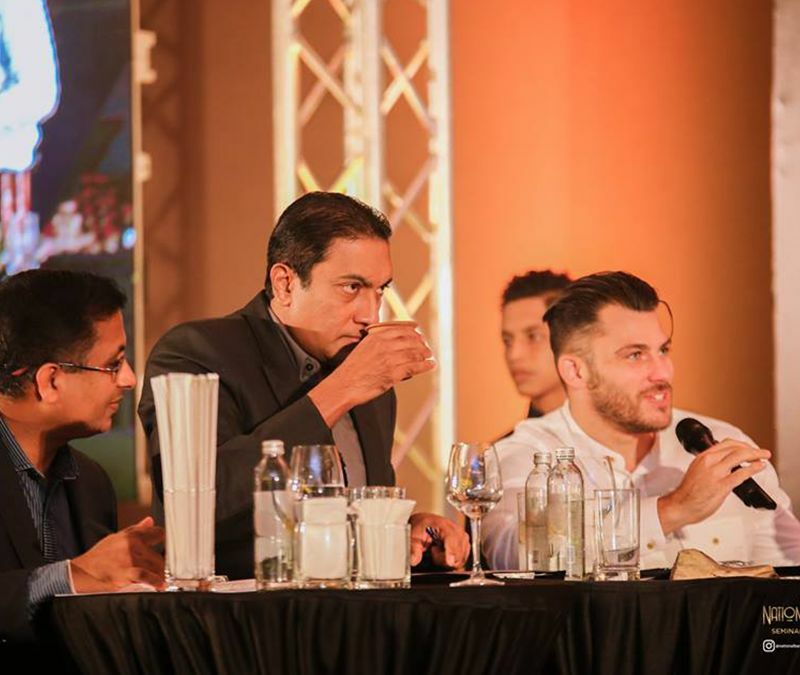 The competition kicked off with the regional training programs with the first one been held in Kandy. 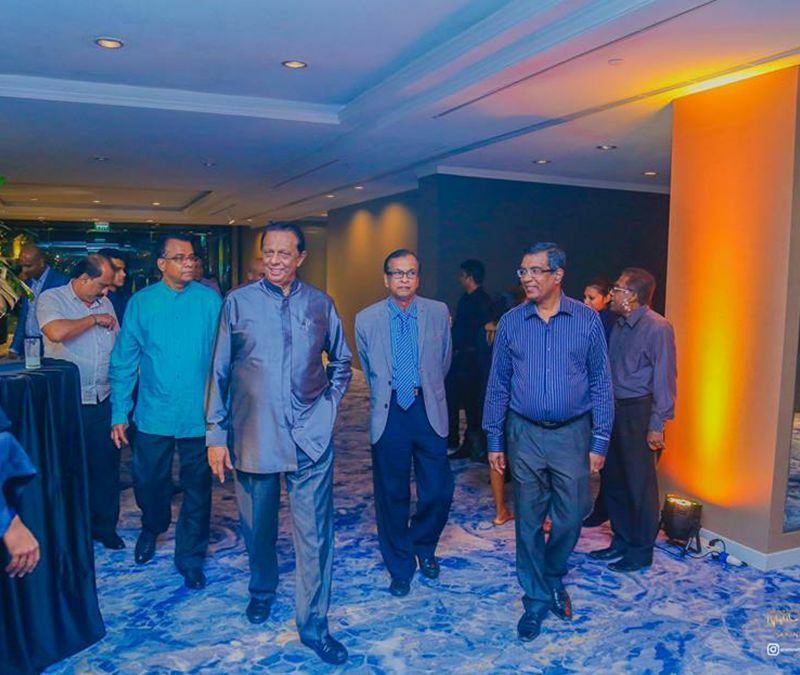 Other areas were Nuwaraliya, Down South, Deep Down South, East Coast, Cultural Triangle, Negombo and Colombo. 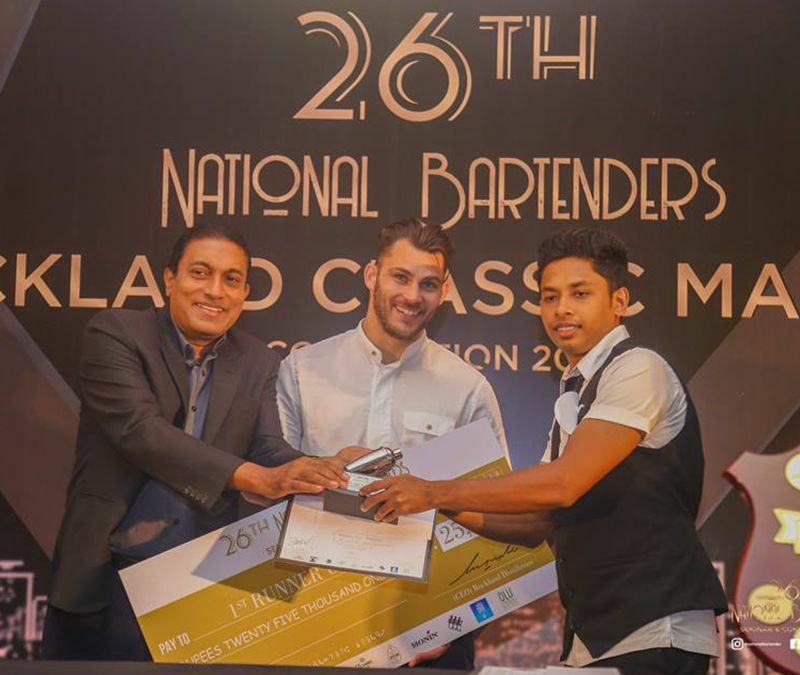 This year a separate category was opened up for the Hotel School Students. 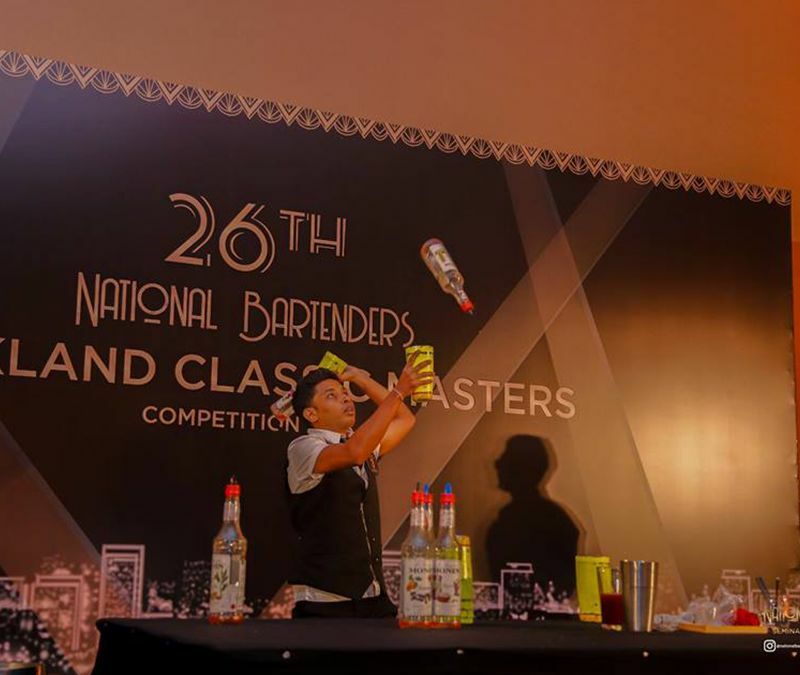 This was followed by the regional competitions and the semifinals was held on the 11th of June at the Hilton Residencies. 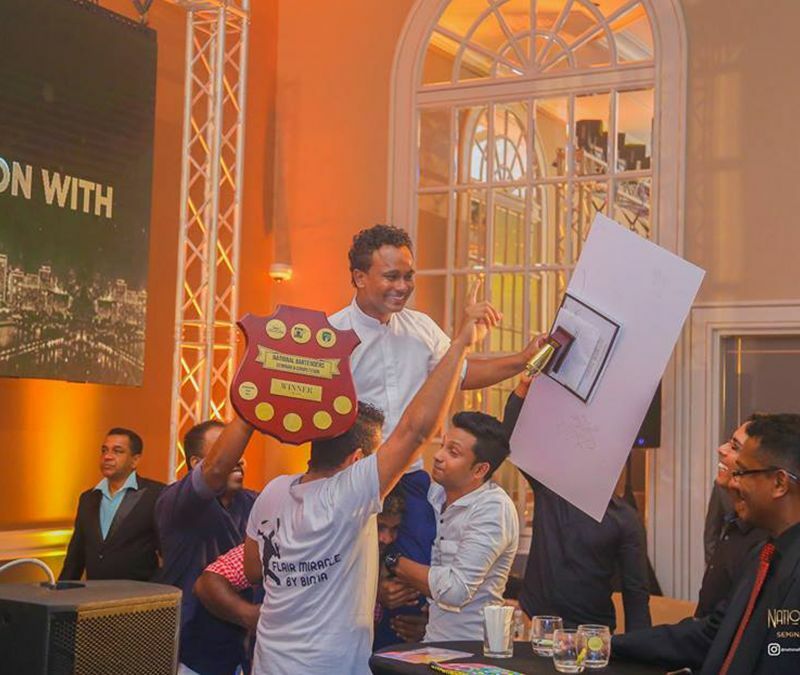 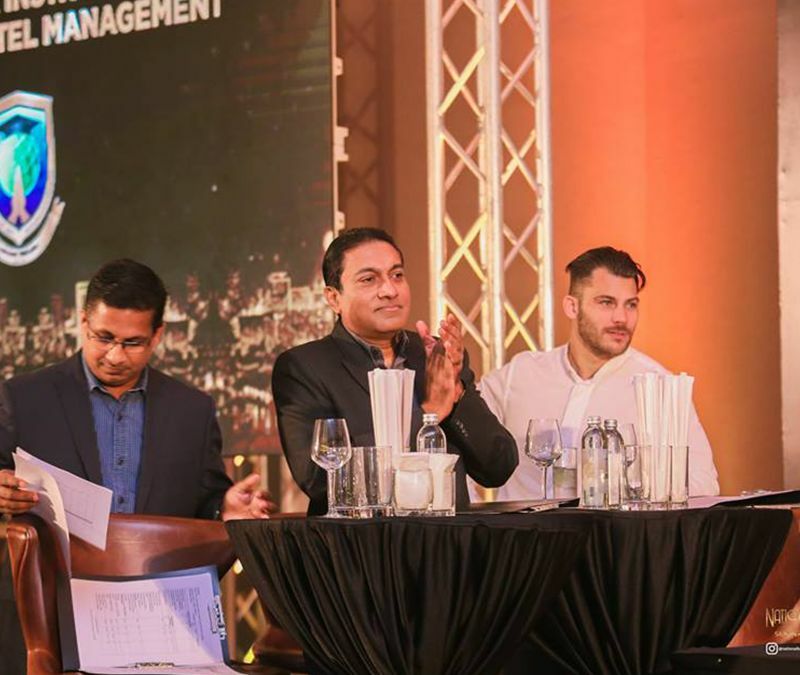 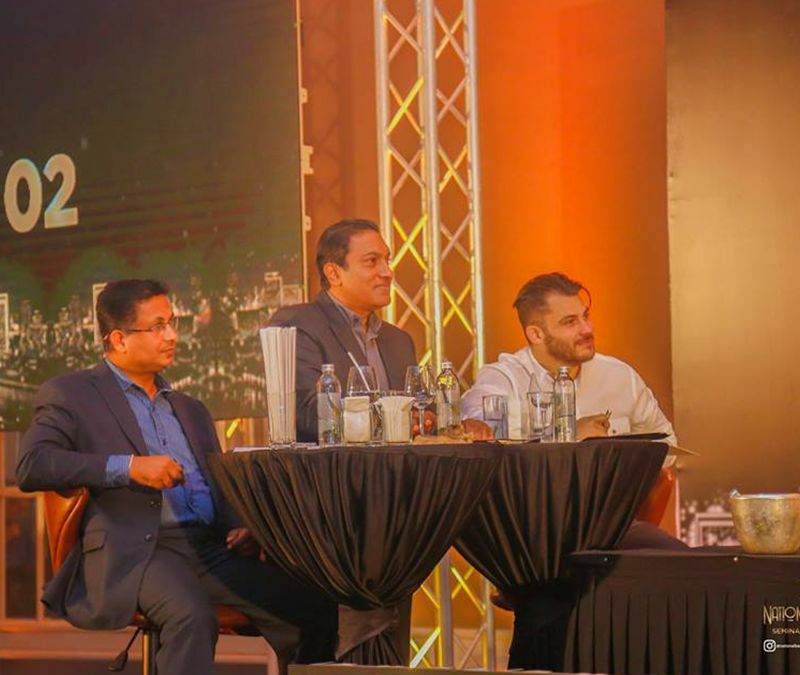 Sahan Weerasinghe from Movenpick was adjudged the winner of the classic category and Binoy Perera from Shangri-las Colombo was the winner of the Flaring Category. 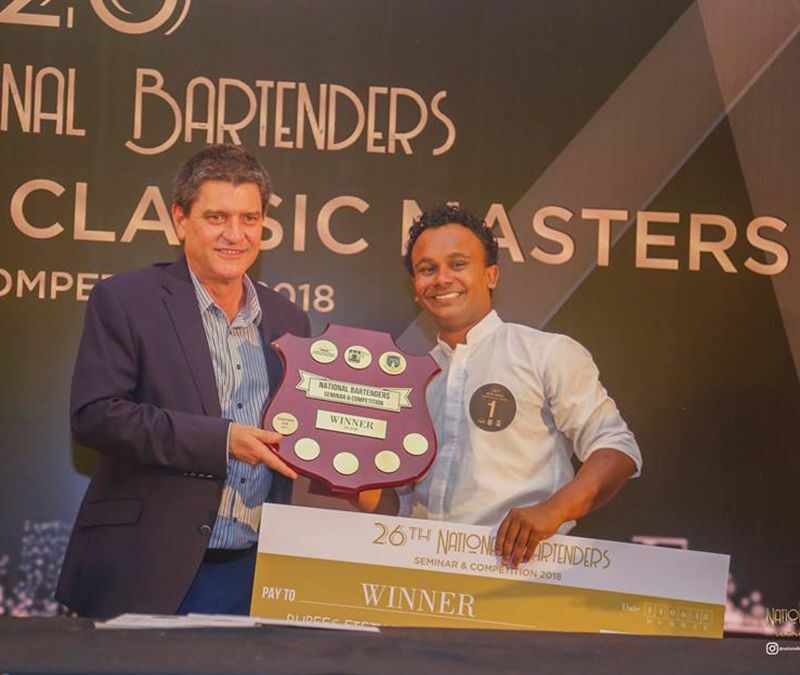 From the Classic category, Kisal Gunasekara representing Water’s Edge became the 1st runner up and A. C. David from Galadari Hotel was the 2nd Runner up. 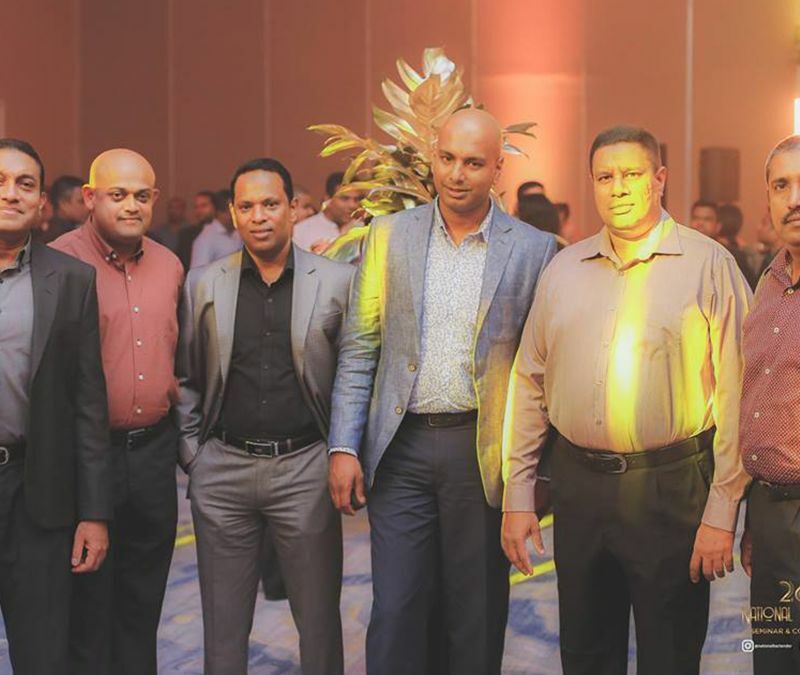 In the Flaring Category, J. 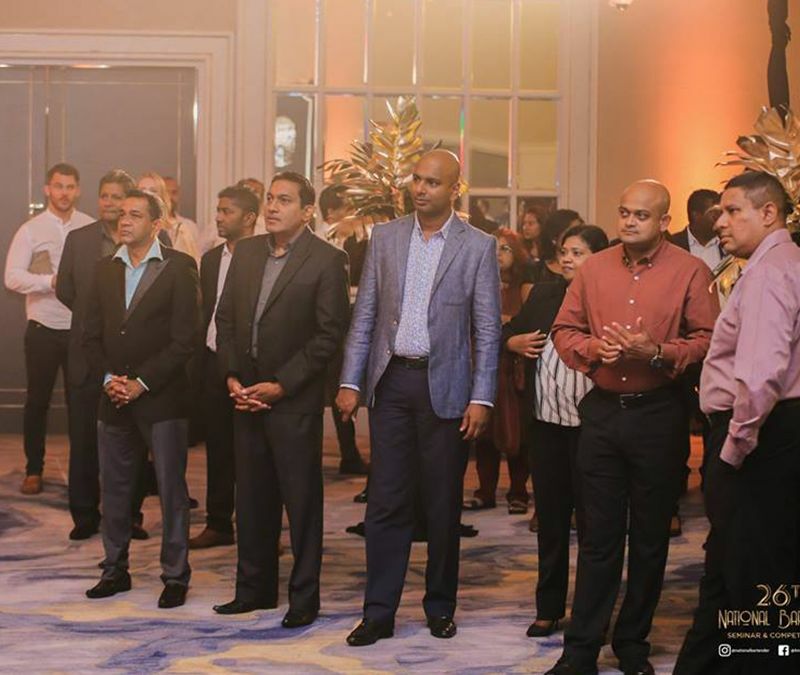 A. S. S. Sandhanuwan –of The Floor by O! 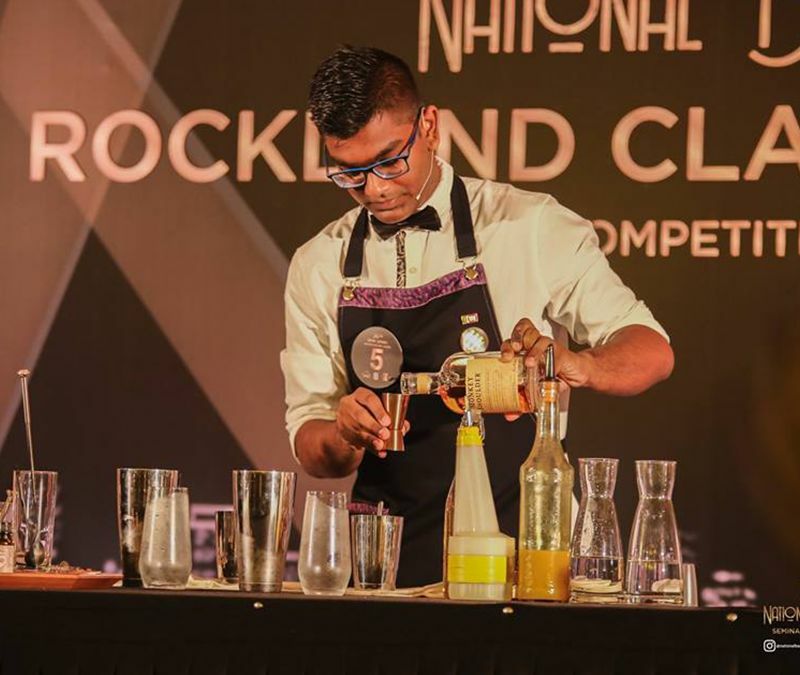 was the 1st runner up and Isuru Sri Krishanta from Access Elevate was the 2nd Runner up. 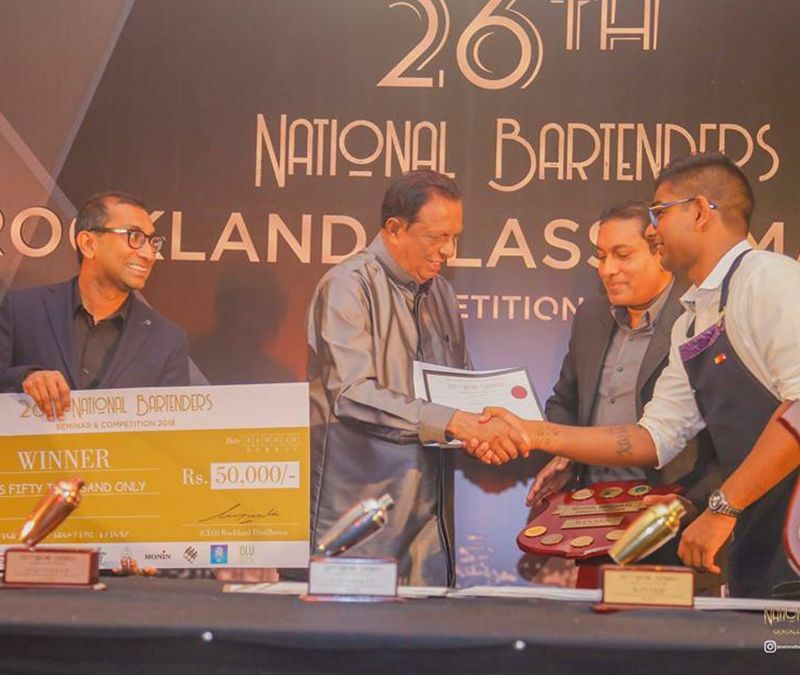 Commenting on the event, the Chairman of the Organizing Committee and the Vice President of CHSGA, Mr. Priyal Perera stated that NBT Competition has trained 480 Bar tenderers and had a total of 390 contestants from all regions of Sri Lanka in 2018, where the event was held. 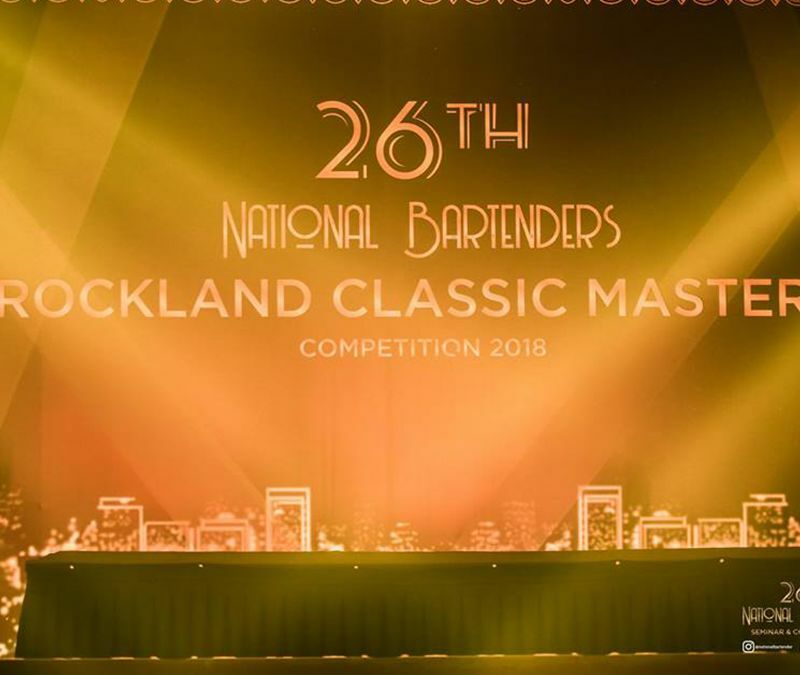 The 2018 event is one of the best National Bar Tenders Competitions in the history to be organized by the CHSGA. 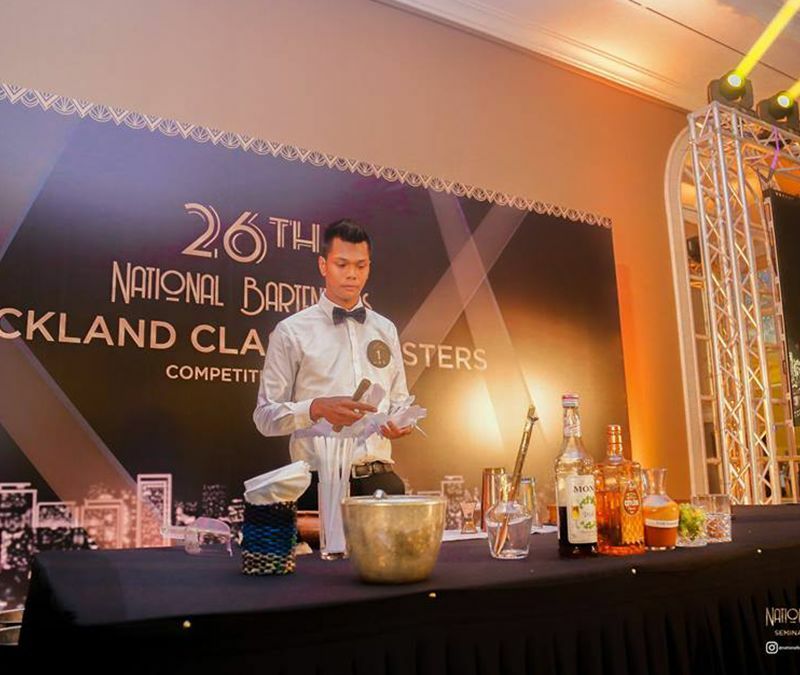 Covering over 8 regions of Training & Competition, along with a separate Training & Competition for the Hotel School sector for the first time, the NBT 2018 concluded on a high note, with many newer innovations for years to come.